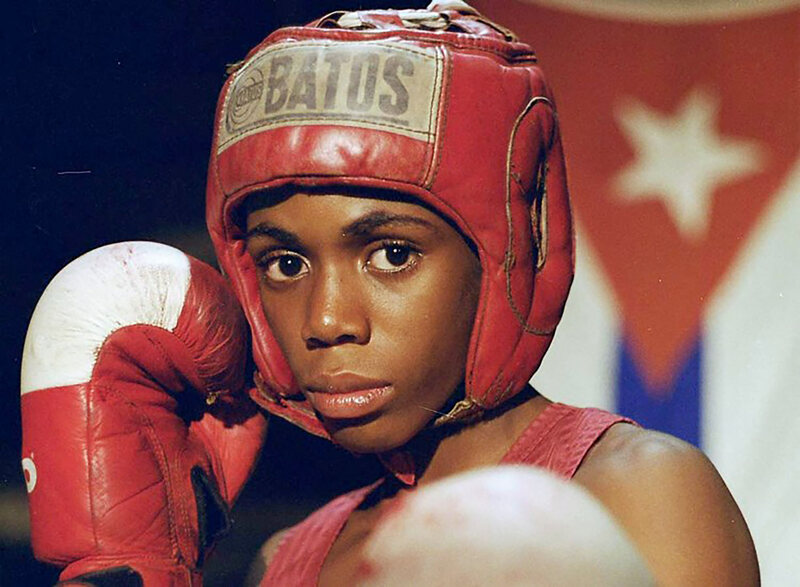 It may not be obvious to the uninitiated but when it comes to boxing the island of Cuba is somewhat of an Olympic powerhouse. Over the past 40 years Cuba has won a total of 63 Olympic boxing medals (32 gold, 19 silver & 12 bronze), so it was inevitable that someone would get round to making a documentary on the subject. The blessing for all of us is that that ‘someone’ was director Andrew Lang and instead of confining us to locker rooms, ringside and boxing pundit talking heads, he seized the opportunity to reveal the socio-political and personal environments that raise such accomplished fighters, despite a lack of resources readily found in other countries. Three years in the making, Lang’s feature debut Sons of Cuba sprung from a comment made by the Cuban double Olympic champion Mario Kindelan when explaining Cuba’s enviable world amateur boxing record; “Cubans are fighters in all walks of life. Ours is a small country, but we live to fight.” Despite initially entertaining the idea of following a single teen fighter on the cusp of breaking into the national team, the duality of the younger boxers at the prestigious Havana Boxing Academy, determined Communist fighters one minute, tearful boys the next, was too rich to pass up. 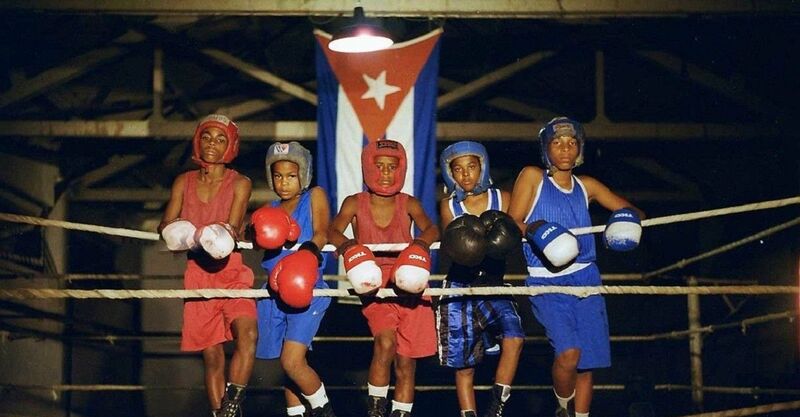 Sons of Cuba focuses on three of the boys (Cristian, Santos and Junior), preparing for the 2006 Under-12’s National Boxing Championship, where they hope to regain victory from their Matanzas rivals who toppled Havana Boxing Academy the previous year. Alongside footage of the stringent training regiment at the academy – up at 4am, train, eat a slight breakfast of milk, an egg and bread, train, go to class, then return to training – Lang explores the lives of the boys outside the academy as well as the shifting mood in Cuba as uncertainty about Castro’s health prompts questions about the future of the country. He shows that the tough training regime isn’t the only pressure the boys have to face; Cristian, the son of a former Olympic and World champion, carries the weight of living up to his father’s image; Junior lacks the killer instinct in the ring and has family problems he’s reluctant to share; and despite his four daily weigh ins Santos’ lack of self control when it comes to cakes, pies and sweets would see him fail the Marshmallow Experiment within a few seconds. Outside of national pride, the rewards for the successful are few. Winning is no golden ticket to success as it often is in the West, which makes the defection to the US of three of the country’s top gold medalist boxers appear as a betrayal to the family of Havana Boxing Academy, mother Cuba, Castro and the honour of the ring. We’re constantly reminded that it is sacrifice that will make these athletes (and Cuba) great and it seems such sacrifice is a constant debt, never fully payable. In a time where increasing numbers of us have become disillusioned with our governments, it’s strange to see a people so dedicated to their ailing leader, especially a people with as little as the students of the academy. Even Cristian’s father, Luis Felipe Martinez one time boxing great doesn’t seem to blame the Castro government for his ‘flickering moment’ of success leading to nothing; “He’s (Fidel) an exceptional man,” he explains to Cristian as they leaf through his boxing scrapbook. With his observational style and on camera interviews, Lang and his crew achieve a sense of intimacy with their subjects that negates the need for explanatory voice over. The combined decision to work with a completely Cuban crew, in order to help secure the production’s unparalleled access, and two year relationship with the boys and coaches does mean that there are several moments of true vulnerability captured on screen. Lang sensibly holds back the majority of the boxing bouts until the film’s climax at the Under-12’s National Boxing Championship. It’s a tearful event for all involved (including the watcher). Whether those are tears of joy or frustration, I’ll let you discover as there’s no doubt in my mind this is a film you should definitely take the time to see.